I recently had my first experience of working in the public sector, walking, quite literally, in the corridors of power in Westminster. 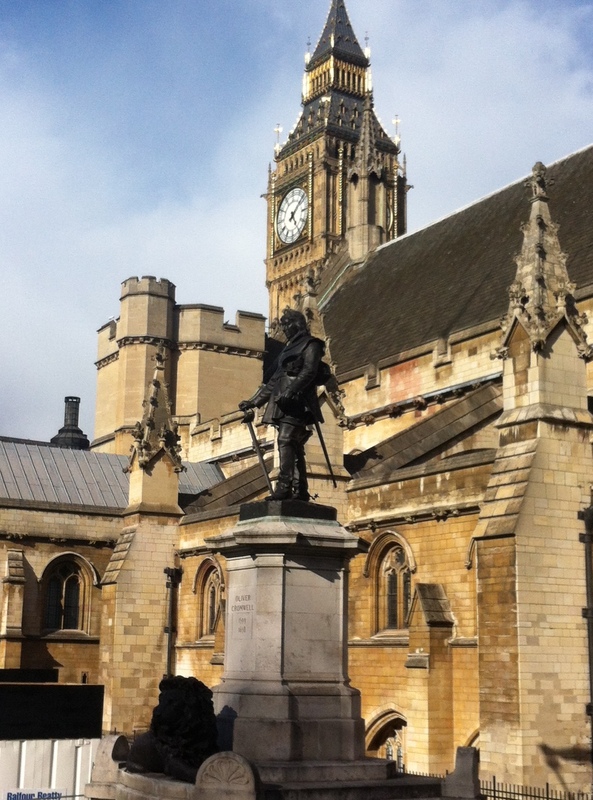 The coolest part was going past Westminster Hall every day, and the statue of Oliver Cromwell. Back in school, when I was doing my A-level history, we “did” the English Civil War, and went to visit the Palace of Westminster on a school trip. My favourite bit wasn’t the Houses of Lords or Commons, but the bit in between, Westminster Hall, and I stood in the place where a King was put in trial by his people. It was a defining moment in human history, and it was tangible in that hall, history came alive, and subsumed me in that space. So, every time I walked or cycled past the Hall en route to the aforementioned corridors, i got a frisson of historical wonder shivering down my spine. That may sound like a digression, but bear with me and we will try and find some relevance, OK? So, anyway, I was working in the public sector for the first time and everyone kept telling me how different things were in the public sector. I smiled and nodded, as is my way, and then had a think. I’m a reflector, I am not quick to judgement (excepting fans of certain football teams), and I came to the conclusion that it wasn’t really all that different. Money – OK, so things are tight in Government, but in the final few years I spent working in the financial services sector things were a tough tight there, too. There was a cost reduction drive permanently and a real drive to get people to think about the money they spent. Change – we didn’t have new ministers every five years, but in just over a decade I worked under six different CEOs, went through two and a half mergers, and eight or nine re-structures, modernisation programmes, systems changes etc etc. With each new CEO came a new vision, new values, and a new strategy. That’s just internal things – there is also the markets; I worked in financial services, joining when the stock markets meant that you just made money by sitting there, going through a few up and downs and then hitting the credit crunch; products came and went (PPI, anyone? ), we went through sales are everything to sales through service, we went through the Financial Services Authority and its various offspring; change was pretty much the only constant. Bureaucracy – I could make your hair go white with tales of how difficult it was to get things done in the private sector. Everywhere there was stodge, rules, jobsworths, people telling me I couldn’t do that because the FSA wouldn’t let me (they would) or it didn’t fit our risk profile (it did). My conclusion was that people are, in fact, people, and people tend to behave the same when put into large organisations. I have written before about the monkeysphere, how the primate brain can only engage with groups of up to 150 other people; anything bigger and the same things tend to happen. First of all, tribes form within the whole; sub-organisations that people can relate to; your team, your department, or your section of the call centre (or governmental agency). And people will engage with that, rather than the overall entity. Second, systems get set up in isolation to make things easier for the local tribe; and these systems male perfect sense to the people setting them up and work within their sub-systems; what they don’t see is the wider system, the overall whole of which they are part, and so when their system is identified as being bureaucratic it is met with surprise, then defensiveness and even outrage. A team I worked with quite closely over many years spent countless hours thinking of new ways to do their job, usually involving booking people on things or sending things out to people. Every time it made things a little bit easier for that team, but much, much more difficult for everyone else. Throw in a bit of cost control and cross-charging and the whole thing got Kafkaesque, all from people trying to make things a bit easier for them in their busy lives. I worked with the team, going through the comments that came through the employee survey to help them understand what came across as bureaucratic; usually it was a question of communicating more clearly about why these various steps were necessary; sometimes it was about behaviours within the team, which needed to be addressed through coaching. They were just getting there when there was another re-structure, and the world changed again. All these things I saw in both public and private sector – at least it appeared that way. And that is something really interesting – which I have come across again and again – where you see the same things happening, the same behaviours, the same broken processes and systems, the same management styles, the same lack of decision-making and the same length of time for anything to happen; all the same but the reason why they were there was different. This is where it gets interesting, and lies at the heart of cultural diagnostics and successful change implementation, and we’ll come back to this another time. But what of our digression into the annals of history? The trial of King Charles I was a defining moment in British and indeed human history; the notion of power descending from God to the King and the absolute monarch was tested and found wanting; a nation was defined as its people, not its ruler; a lesson here, for leaders. Unless your organisation is very small, then your organisation is your people, everything it tries and achieves and fails and wins and loses comes through its people. Without them, you have no organisation; you have merely an idea with no way of implementing it. How is your organisation defined? Is it an absolutist monarchy? Or do your people get a say in things? Have a think, and we’ll come back and discuss this a bit more later.